Just share this link with others for the chance to get $50 referral credit when they sign up for a new MyPhotoApp subscription. When they sign up using your link, they will get a FREE month, instead of the usual 7 days, as well as a nice discount of between 10-20% off their first unlimited App subscription. More info about the referral program is located in the MyPhotoApp Knowledge Base Referral Article. A 14 day free trial (others normally only get a 7 day trial). To start your trial just complete the form below. A 10% to 20% discount on your first unlimited app subscription. Once logged in, you can head over to the license tab and see your savings. This offer is valid for new accounts only! Let's get started and enter the following info to immediately start your MyPhotoApp journey! Enter your email and password to login and start making awesome apps. Haven't registered yet? No problem... just go to https://MyPhotoApp.com and sign up for the 7 day free trial. Here are our simple terms of service... basically you be good and not do anything malicious and we will strive to provide an amazing service. We will host your apps on a best effort basis. You understand that your apps have the possibility of being lost and you have responsibility to backup your stuff. You agree to not create apps that are unlawful... including and not limited to using other peoples copyrighted works without their permission. You agree that our total liability against and any all damages are not to exceed the total of your last payment for service. You agree that we can terminate your service at anytime for any reason and we will refund your last payment. We agree to give you as complete refund within 30 days upon initiation of service should you be dissatisfied. After 30 days, there is no refund available to you. See.. our TOS is simple to understand and read. To date, we have yet to terminate anyone for any reason. Lets keep the good karma going! Are you sure you want to delete your app? Are you sure you want to delete your folder? Renaming your app will give it a new URL. NOTE: Renaming an app is a somewhat slow process and is proportional to the number of images in your app. Be patiented while the rename process occurs. NOTE: Duplicating an app is a somewhat slow process and is proportional to the number of images in your app. Be patiented while the duplication process occurs. Folders can contain letters, numbers and spaces. Please enter the name the app you want to create. You can migrate a version 5 app into version 6 by migrating the photos from the version 5 app into this gallery. IMPORTANT: When you migrate the photos, the version 5 app will stop working and redirect people to this version 6 app automatically. Be sure to publish this app after import. If you were a previous Sticky Albums user and have upgraded to MyPhotoApp, but would like to migrate some of your apps from Sticky Albums to MyPhotoApp, this import function will help in that it will take the Gallery images from your Sticky Albums app and import them into this gallery. Just enter the URL of your app and it will start the import. We have implemented the Sticky Albums migration capability first, but if you have apps from another vendor that you would like to migrate, just click on help and open a support ticket and we will see what we can do. Markdown is a popular plain text formatting syntax used by Mad Mimi and others. Markdown is useful because you can create text on your apps that works well across a variety of devices. MyPhotoApp uses a markdown variant called GFM. You can click on the link Mastering Markdown to learn more. Here is a link to a Knowledge Base Article that describes the various link types you can use. Optionally, you can add an initial password for apps that are required before they can be opened. Optionally, you can set an expiration date after which the app will no longer be able to be opened. The date specified will be the last date the app will work. You are using a free version of MyPhotoApp, visit the License tab above to unlock restrictions. App Renames, App Duplication, and New Template Save operations can take a while... several minutes. The time is proportional to the number of images you have in your app. This is the template that you would normally use when creating a new app. All content is saved except gallery images. Choose this option to save as a new named template that you will be able to select when you create new Apps. It is good practice to remove all images from your app that you do not need in your template so that when you save or use your template, it is faster. Note: to update an existing template, you should select it from the navigator and edit it. Click this button if you have made changes to the default template and want to use the default MPA template again. Note: Pressing restore system template will apply the changes to the currently selected App. Apps Saved as templates will appear in the App Navigator with the suffix _template added to their name. You can keep your templates separate from the your Apps by creating a new Template folder to hold them. Upload a file that can be referenced in your app. Note: Resource files are limited to 1mb in size and need simple file names with only 1 period followed by a 3 letter suffix and no special characters. MyPhotoApp uses Google Fonts. For a complete list of fonts and examples, visit https://www.google.com/fonts. Default is the normal MyPhotoApp font. If you want the link to dial a telephone number, enter the URL: tel:xxxx where xxxx is the number to dial. If you want a page to display when the image is pressed, enter the URL: page:xxxx where xxxx is the label of the page. New window will have the link open in a new window on a computer. Normally all your public app icons are displayed. If you select the tree view option, then public apps within a folder will not be initially displayed, but their folder will and you will need to click on the folder to see the public apps inside the folder. This special menu section adds a menu to your app or website allowing users to select pages to be displayed. The menu uses the page labels for each page. All page sections in an App are automatically added to the menu unless you choose to exclude pages by specifying the page labels in the relevant settings field. It is possible to create Menus up to 2 levels deep. By default, pages with a standard name appear as top level 1 items in the menu. To create a level 2 submenu under a level 1 item you need to add the level one page label followed by a colon at the front of the level two page label like this -pagelabel:pagelabel (Level1:level2). Clicking on the menu displays ONLY level 1 page item until a person clicks or touches a level 1 item which has level 2 items, the level 2 page items are then displayed. It is possible to create multiple level 2 pages under the same level 1 page. Enter the complete url, including the http:// . Note that many websites, such as pinterest for example, do not permit their web page to be viewable in a browser iframe. The builder will attempt to detect that and give you a warning message if the url you enter doesn't support iframes. Enter the complete url, including the http:// pointing to the PDF document you wish to display. Note: PDF sections will prevent the app from being able to be viewed offline. The note section lets you add a text box where the user can add notes to the app. The notes are persistent on the device, meaning that the app will remember what has been typed. On mobile devices, when viewing an app in a web browser vs viewing the app once it is installed are treated like two separate devices. This section adds a menu item to the menu. If a URL is specified, the menu item when clicked will immediately take the user to the url. If a URL is not specified, it will cause the app to scroll to this section. This section is not visible on the app, just on the Menu created by the menu section. The label is used as the menu item. MyPhotoApp has built in statistics, but you can also optionally use external usage tracking systems. You can click on a button you added to edit it. Drag/Drop to rearrange. Syntax for various link types. If you put %URL% as part of the link, it will get replaced with the URL of the app. if you put %ICON% as part of the link, it will get replaced with the URL of the icon image. A lock button will let you lock the app so it can't be viewed without a password. Will show the gallery images that were liked (hearted). Will pop up install instructions. Will send your note sections via email. You can set a button to toggle the visibility of a layout section. You can add a custom button to your app. Please provide the URL for the png, jpg, or svg image. The custom button must be already designed for your apps with the correct color scheme and size. MyPhotoApp uses the icon as is and from the location you specify. So do not delete this icon as your apps will no longer be able to find it. Here is an example URL: http://m.mp-app.com/common7/instagram-icon.png that has an instagram icon. Custom icons are recommended to be 65x65 pixels, but can be any size. Filter: Icons by Font Awesome and Material Design. Click on grid cell to edit it. Click on the icon symbol above to select a new icon. You can add YouTube, Animoto or Vimeo videos on the bottom of the first page of your app. Enter the url of the video you want to add and click the add button. The video url must follow one of the patterns below. Click on a button to add that section type to your app. If you checkmark this option, app won't be cached on devices and as such they will only be able to be used when connected to the internet. Useful if you are changing your apps often or you want to be able to delete the app and your clients no longer be able to view their app on their devices. If caching is turned off, app install statistics are not captured. Normally the app on the devices starts as soon as possible and loads images in the background. If you check this, the app won't start the first time till all images have been loaded on the device into the cache. This will insure that the app will work even when offline without having to first view all the images. This is accomplished at the expense of a quick startup. This only works in IOS devices (e.g. iPhone). MyPhotoApp will send you an email with the client letter when you publish your app. If you have an auto responder on, please turn it off for emails coming from MyPhotoApp.com otherwise I will get spammed with courtesy emails each time you publish an app. MyPhotoApp optimizes the the images for app loading speed and image quality. There is a slight trade off on image quality so that the app loads quickly. If you prefer image quality over app loading speed, check this checkbox and that will disable the speed optimizations in favor of utmost image quality. This will reset your counts to zero. You can edit the sample email to match your brand. Be sure to include the text %LINK% as it will be replaced with the url of the app for your client to click on. Click this button if you make changes and want to use the default email again. You can text the URL of an app to your mobile device so it can easily be sent to your clients. Enter your mobile phone number and press the Send Text button. Outside of United States be sure to include the country code. This is not really intended for delivering Apps directly to clients as they will not recognize the MyPhotoApp number the text comes from! Here is a sample email you can copy and paste into an email for your client. You can click edit on the right to customize it. Don't forget to change your password by clicking on the setup tab and view the welcome email and click on the verify link to confirm your email address. When you are ready to unleash the power of MyPhotoApp, click on to watch a 7 minute introduction video. You will be building awesome apps in no time. If you need help, click on the help button in the upper right where you can search the knowledge base inside of MyPhotoApp or submit a support ticket to report a problem or request assistance. Click on Knowledge Base to open a new browser window that will provide you access to our knowledge base where you can search on frequently asked questions and maybe get immediate answers to your questions. If you can't find your answer, you can click on the Submit a request link in the upper right hand side of the knowledge base site to open a support ticket. If you can't find the answer to your question on the Knowledge Base, you can also open a support ticket easily by sending an email with your question or issue to support@myphotoapp.com. We strive to be prompt (within a few hours between the hours of 8am and 10pm eastern time US, Monday through Friday) with our replies. If you don't hear back within 24 hours, then something is wrong. Check your spam folder, or hit us up on the facebook group. We have an active facebook group. It is a great place to learn and discuss with other MyPhotoApp users on how to use apps to enhance your business. Please join in on the conversation. Here is a link to the referral url generator so you can produce a URL that you can share that will provide people an easy way to use your referral code: http://builder.mp-app.com?referral. Visit the Referral Program Knowledge Base entry for specific details. Disable display of html sections with iframes in the builder due to possible performance issues. Fixed bug with brand-xxxx link syntax being used in primary buttons. Fixed issue with sections with no label not being able to be copied and pasted. If shopping cart total is $0, it will not direct people to paypal for payment. Fixed bug with dynamic text section losing content when app was updated. Ability to remove submit button from form. Ability to remove border from form. Renamed some section names on "add Section" dialog "Empty Form" -> "Form", "Contact Form" -> "Form - Contact", and "Model Release Form" -> "Form - Model Release"
Fixed bug where people could add a custom url after they used the url for another brand. Detects MPA opened in multiple browser tabs (windows) and will warn you to close the window in older sessions. CRM when texting to rolodex, if an error happens, keep texting to the whole list and display a list of numbers and errors. Able to specify upload size (up to 2048px, default 1024px) of Dynamic images. Able to disable sharing of uploaded images in a dynamic Gallery. Improved CSV import for CRM. Able to select a .csv file instead of pasting contents. Able to control spacing between columns on two column. Added clear formatting feature on text editor and updated the look of the text toolbar to monochrome icons. Added "Magazine" section (add section) - that will add a gallery section with a magazine layout. Not new function, but a convenient way to create magazine layouts. When creating an app with a template from another brand that has global content, the content is copies to the brand. Popup link type can now be used to popup content. Basic section types now have tutorial videos available on the add section dialog. Video tutorials for other section types will be made available in future releases. Fixed issue with adding custom CRM field names with special characters and improved formatting for CRM clients with many custom fields. Made content available to elite users to play with in a beta (experimental) mode. There are formatting issues that need to get resolved. Fixed issue with "other settings" not taking effect on text sections. This may cause your text to look different if you edit the section and publish your app than it previously has. Added "computer font size" option on most sections so that you can specify a different font size when being used on a computer or mobile device. Fixed issue of showing (show:section) section on pages. Groups can now be displayed accordion sections. So you can group sections together and have them displayed or hidden all together. Pricing table detail can be displayed as a table. Added a notes field to pricing table. Upgraded logo section settings interface to new format - supports png and gif logos and you can provide a link on the logo. Upgrade copyright section settings interface to new format - no functional enhancements. Sunset old buttons section and replaced with buttons+ (buttons+ renamed to buttons). Enhanced button interface... my cause some slight changes to the presentation of the buttons, so if you are currently using buttons+ they my look at little different when apps are published in 13.7. Apps published 13.6 and below are not affected. Contact Buttons, Sharing Buttons, Follow Buttons, and Lock Button all use new button format. Fixed bug where welcome screen content was larger than the device window size would cause some clipping of the content. Added SMS button for contact buttons. Image title enhancements: Background color specification, vertical background banner option, and fade in/slide motion for attention grabbing. CRM send (text/email) to rolodex will now include 2nd name email/text as well. Ability to download all gallery images as a .zip file. Fixes to several bugs including slideshow failing when dynamically adding IPS images. Added link type of copytoclipboard:%URL% which will copy the current app url to the clipboard. Anything after the : will be copied to the clipboard. Internal upgrade of software levels (jquery 3.3.1, sceditor 2.1.3). Updated MPA built in fonts selection from Google Fonts (which added about 50 more). Added overall upload progress bar when uploading images to a gallery. Added ability to animate image titles. Ability to add images to IPS module without using the builder. Sunset type 1 custom urls for new setups. Hidden form fields - useful if you want to add fixed tag fields to CRM entries from a form. Ability to duplicate a form field. Ability to copy and paste a form field from one form into another. Fixed bug with Gallery Slider on page not displaying. Fixed Bug with two columns not honoring fixed column sizes. Form, PhotoContest and IPS can now use CRM as an email selection which will format the message with CRM formatting. Forms can email or text CRM saved messages upon submission. When adding a new form field, it will be inserted after the current selected field. If no field is selected, it will go to the bottom. Ability to hide or show a section by right clicking on it the layout sections. Ability for end users to optionally upload images into a photo contest. Able to navigate to pages that have spaces in label via URL by putting %20 in place of a space. Added documentation and changes to support GDPR compliance. Ability to associate a client with an app. Photo Contest section so people can vote on photos. CRM Search is regular expression capable for doing and/or type searches. CRM tags now have a more sophisticated editor and tag suggestion capability. MPA forms can create client entries in CRM. Ability to add image numbers on thumbnail images of a gallery. Ability to disable full screen view when clicking on gallery thumbnail images. Analytics tab updated to have a daily frequency option to display daily analytics for the last 30 days. Statistics reworked to automatically filter out non real user hits (like Facebook, google, or other non-human bots access your app). The new statistics have only been collected since last August so no statistics prior to August 2017 are being reported. Document section you can specify a different font size on a computer vs a mobile device. Fixed bug with form signatures on pages on mobile devices. Fixed document section not honoring link color. If a form field does not have a label, but has a placeholder, use that as the label in the form email. Added TableText Section that lets you easily create a table of text. Added Flex Basis value to specify the default width of pricing table columns. Ability to add an image to the pricing table. For gallery, jpgs larger than 500mb are automatically resized before upload to increase upload speed. IPS improvements - Ability to add new images from the IPS app when in IPS mode and no images are pre-loaded in the builder. Added Help button. Added item details, Added cart instructions, changed keyboard 1-5 keys to change the rating of the selected images. Refactored and added code in prepration for CRM -- coming soon! Fixed bug where you can't rearrange gallery images in the visual design. Doesn't move to top when moving images. Dynamic Text section - the ability for clients to add text to your apps. Useful for collecting testimonials, reviews, wedding well wishes, etc. Popup section can now collect phone numbers and all fields can be optional or required. IPS has a full screen mode to display 1 image in full screen. IPS enhancements - filenames displayed on thumbnail view, when you have selected images, press P to thumbs up them, or X to thumbs down them. Ability to thumbs down an image from the shopping cart. 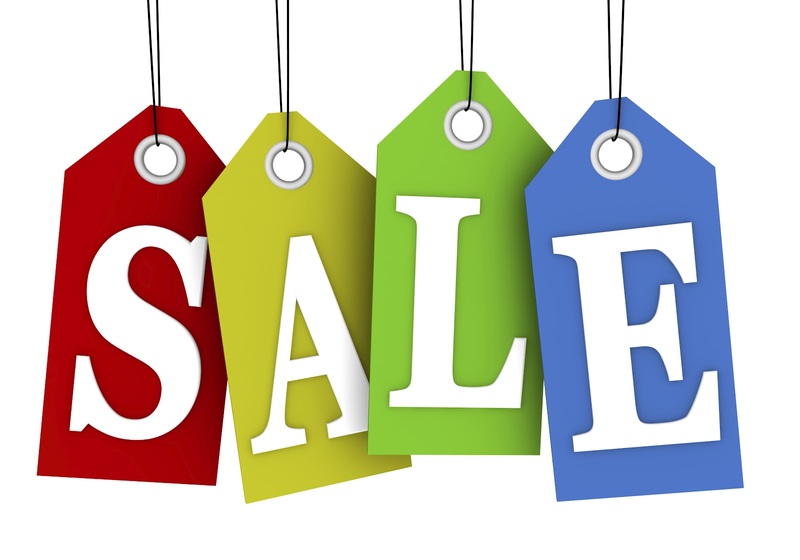 On the sales order, you can enter an amount like -10% which will calculate a 10% discount from the cart total and put that amount in the field. IPS has three modes, IPS (for in person sales), Proof (for using the IPS section as a proofing tool), and Cart (for using the IPS section as an enhanced shopping cart). Fixed bug - unable to delete gallery images in firefox. Fixed bug - Gallery max size was not being honored on image uploads. Renamed elite starter to elite-5 and added elite-10, elite-20 and elite-30 subscriptions. Ability to fix menu+ to the top of the app so it is always visible. Ability to add a text logo to the menu+ bar and specify a font for it. Ability to have a fixed footer using the group section. Cart using new interface - Ability to specify the email the cart is sent to, ability to rearrange the cart items in the builder, and prevent empty carts from being submitted (by having a minimum order), if email is specified, it will be the reply email, minimum cart order. On image upload, preserve colorspace if one is included. Add a "view" button on arrays that will show all items in a tabular format. When a new section is added, it is highlighted in blue to find easily. When adding a new section, it is added after the last section added (or updated). In Person Sales Section - Create an app that you can use on your ipad or computer to conduct an inperson sales session. Redesigned the create new app button and how templates are displayed. Replaced PayPal with Stripe for subscriptions to MyPhotoApp. Added "install prompt" support for IOS 11. Added new Gallery Layout - Magazine - Elite Level Subscriptions required .. that will display your images like a magazine. Added Action Section - Ability to control the visibility of a section based on if the app is installed or not, or based on a date. Ability to password protect sections. Added Welcome Section - a popup that appears when an app is opened to welcome them to the app. Ability to publish the app to facebook directly from the publish status page. Ability to show/hide sections in a group in the layout sections to let you remove visual clutter from complex apps. Added Elite Level Subscription - New subscription level to give you all the tools to maximize the use of apps in your business. 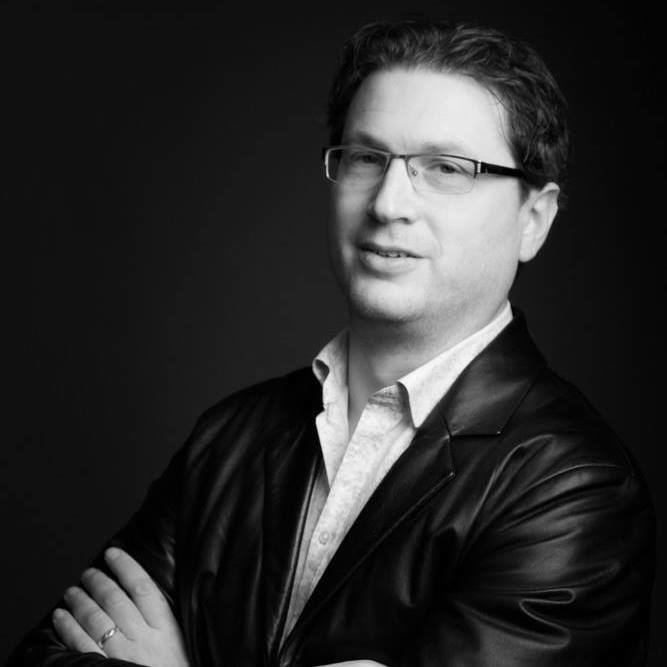 Added Kim Dixon's Masterclass Tab - Learn how to really master the use of apps in your business. Added Font Section - Ability to upload your own fonts to use in your app. Added Facebook Section - Ability to control what is displayed on facebook when the app is shared as well as having a larger image displayed. Added Hero Section - Add a hero image to your app and really make them stand out. New option "Always Install Prompt" on layout settings so that the install prompt will now display every time the app is opened on safari or chrome from a browser. It will appear modal in that the background will be shaded so people won't miss it. Added circle display option to counter section. Added ability for countdown timer to have a time of day, in addition to the date. Added ability for countdown timer to turn on the visibility of a section when the timer reaches zero. When using a shopping cart, before it forced the image names to appear, now they will appear if the gallery has "include names" checked. Added toggle:label as a link type to toggle the visibility of a section. Upgraded Mailchimp integration from using api 2.0 to using api 3.0 when forms are submitted. Added Experimental Font section to permit you to add your own fonts (woff format) to the app. Gallery and Image sections support .gif and .png files in addition to .jpg files. Sunset GIF section since it is no longer needed as you can use the Image section. Renamed the Form button to Empty Form on the Add Section panel to identify that it will add an empty form section to the layout. Added Contact Form button to add section that will add a form with 3 fields (name, phone, and email) already defined as a quick start for creating forms. Clipboard Paste icon added to page sections. Enhanced the install dialog text for additional clarity. Shopping Cart Integration With PayPal and ability to restrict certain cart items to particular images based on patterns. This is useful if you want to sell products that have a particular price. Right click on publish will immediately take you to the app. Fixed bug in loyalty card where improper HTML in an html section could cause it to fail. Fixed bug where form net promoter score would dial phone when app was installed on a device. Added New Loyalty Program Section. Ability to change size and color of labels - useful when section type set to accordion. When you upload images to a gallery, you now have a visual progress display. Added new Two Columns section type where you can display text,images, or icons in a 2 column layout. Ability to change the color on the subtext of a primary button. For image section, ability to restrict the size of the image to it does not pixelate. Able to turn off form emails being sent to you. After build of app, you can text it to you. Fixed several bugs and did a lot of internal code clean up and improvements. Updated the design of the Layout Sections button to use the new accordion interface. Made it easier to add background images to apps and sections with a drag and drop interface. Added Document section which lets you compose beautifully formatted text and images. Enhanced the image section to permit you to add text over the image and change the opacity. Add permissions to app template sharing. So you can now make apps and only share them other MyPhotoApp users that you select. Added the ability to display a message when the countdown timer has reached zero. Ability to sort the columns on the forms tab and display thumbnail of images collected on forms. Able to hide the 1st column of the builder. A visual design tablet view in the builder. The accordion section symbol has been replaced from being to a when closed and when open. Ability to specify your timezone. Form emails will use your local timezone. Added over 900 new button icons from the Material Design icon collection. Adding SEO section to provide enhanced seo content in your apps. Mostly useful for when you want to create a mobile website. If you create an app called, index, it will be the default app for the brand. Great for mobile websites with a custom URL. Offline Forms -- if the device is offline when a form is submitted, the form data will be saved and transmitted then next time the app is started and connected to the Internet. Useful for creating an app to collect leads while at an event that does not have internet connectivity. Ability to automatically send people to paypal after submitting a form. Ability to rearrange the order of the buttons in a button section. Ability to move sections into and out of pages by right clicking (control click on a mac) the section name in Layout Sections area. When going to a page, the top of the page is scrolled to. Forms Data sorted by Date. Added the ability to specify a default app for a brand. This is the app that will be displayed if the app name is not specified on the url. Brought back the wizard (much enhanced) to help new users build basic apps in a step-by-step guided manner. Added QR Code display on publish status button. Logo can be text instead of an image. Ability to save custom sections from the section setting panel. Ability to rename custom sections. Ability to add CSS Styling to an app or a section. For example, add a gradient background. Section background URL's can be fixed. When forms are submitted, they can hide the page they are in. More control over menu section positioning and look. Improvements to Referral Program - Use of Account Credits. Added Triptych and Diptych gallery layouts. Sync Folders and Galleries - Drag a folder and drop it on a gallery upload and the gallery will sync with the folder. Only works in Chrome. Countdown Timer Section - Provides a visual countdown timer to some future event. Improved Help Interface - lets you view knowledge base text while able to use the builder. Ability to Watermark Images during upload. When a form has been submitted, an automated email can be sent to the person who submitted the form. When a form is submitted which solicits an email address, it can be added to your Mail Chimp account. Easier to generate referrals by using a URL with your referral code -- see the help panel for more info. Integration with Postmark to customize the "from" address for form emails. Dialogs - You can have a hidden markdown section display as a popup. This release is a "polish" release where I polished the user interface to improve usability... especially for new adopters. Improved the cosmetics a bit. Retired The Wizard Tab -- since the builder is so easy now. Added "Tour Bus" option on builder to help new users with MyPhotoApp Builder Layout. Improved usability for new users to help guild them through the build process with less steps. Added Quick Setup button on builder to ease new user setup of their brand. Added Folder Support to organize your apps. Implemented caching changes to improve cache refreshes. Gallery full screen slide show feature added back. Ability to navigate directly to a particular page in the app from the url. Just add #pagename to the end of the URL. Able to "like" photos by clicking on the heart in the full screen gallery view. Added a directory section that will display public apps. You can now make an app that is the directory of all your public apps. For Slider galleries, center images if they are smaller than the width of the app. Ability to remove [optional] from display on optional fields. Ability to specify fonts and background images on sections. Improved layout settings interface to reduce clutter by only making the options specific for the section immediately visible. Clicking remember me will keep you logged in on the browser for up to 1 year unless you explicitly logout from the browser. View of submitted forms are now in their own browser page so they can be printed nicely. Font Support - Ability to select from 725 google fonts for the app, or the markdown section. Text Buttons - Ability to have buttons with words in them instead of an icon. Resources - The ability to add files to your app that you can use in html sections or as images that you can use in a markdown area or images for custom buttons or background images, or pdfs that you can link to so they are downloaded. Menu - You can specify left and right margin spacing. Added Background Image support for Apps. Added Gallery Layout Option - Slider. Ability to share templates - Other users can use your templates if you let them know the name of them. Add tracking section - Ability to use Google or Audience to track your app usage. Remove download option on Android devices - Download feature on Androids do not universally work - so it is not there to avoid confusion. Shift click enabled to select multiple gallery images when editing images in the gallery section settings. Removed 10mb file restriction on photo upload. File is resized (compressed) on client before upload. Added Page section type to support a multipage mobile website. Added Menu section type to be able to select a page. Added iframe section type to be able to display content from other websites. Added html section type to be able to add custom HTML into your apps. Added ability to disable "install" prompt. Added link section type to be able to add a menu item that is a link. Added ability to specify maxWidth on computers. Added Apps tab to list out all of your apps. Added ability to add tags to apps that you can use to filter on with the apps tab. Added Form Data tab to filter, display and download data collected from forms in the brand. Fixed bug with videos sometimes not showing. Behaviour Change: When an app has multiple galleries, when viewing images in a gallery, only those images are displayed. Prior all images across all galleries were displayed. Once a form is submitted, it is cleared out. Added optional link that can be added to forms so that once they are submitted, the user is taken to that link. Enhanced forms with checkboxes, radio buttons, and select (dropdown) lists. Fixed issue with migrating images from version 5 apps. Added Custom Sections - Useful for reusing sections (e.g. forms) across various apps. Fixed issue when changing icon, mobile devices used old cached one. Refined the builder interface to make it less cluttered, more refined, and optimized for workflow. Added context sensitive help on the builder screen for easier learning. Added ability to have apps stop working (expire) after a particular date. Added Square (Cropped) 3 column layout to Gallerys. Fixed bug with saved layouts and images disappearing. Help info and cosmetic changes on the builder tab to make learning the builder easier. Analyics graph is interactive... mouse over for data point values. Added Custom URL support - use your own domain. Fixed bug with offline playing of music. Added new wizard tab to make building simple apps and setting up your basic brand information very easy. Added ability to specify the background color behind the app when displayed on a computer. You currently have the most brands that you are licensed for and cannot add any additional brands. If you want more brands, please contact support. MyPhotoApp Brands are a way to organize (logically separate) your apps. Most people only need one or two MyPhotoApp brands to work effectively. For example, if you are a photographer, you would have one MyPhotoApp brand for your photography business, and if you create apps for other businesses, you may (but not required) create a MyPhotoApp brand for those apps. Each MyPhotoApp brand can have unlimited marketing brands (i.e. logo, color scheme, contact info, and app look). For more info on this, check out this Brand Knowledge Base Article. Your license entitles you to unlimited marketing brands and MyPhotoApp brands. If you need more brands, you can purchase additional ones. Open a support ticket with your request. To add a new brand, enter the name of the brand you would like and click the Create A New Brand Button. Note: Once you create a brand, you cannot delete the brand if there are any apps in the brand. You will need to delete all of the apps in the brand before you can delete the brand. Email campaigns are sunset. You can either use a welcome section, or a form that is set as a visible dialog. You can setup your own URL to point to the MyPhotoApp server and have apps use your domain name in the URL. If you purchased a new domain that you want to use explicitly for MyPhotoApp, you can follow instructions on this link: New Domain Setup. If you are just using a subdomain on your existing domain for MyPhotoApp, continue with the instructions here. 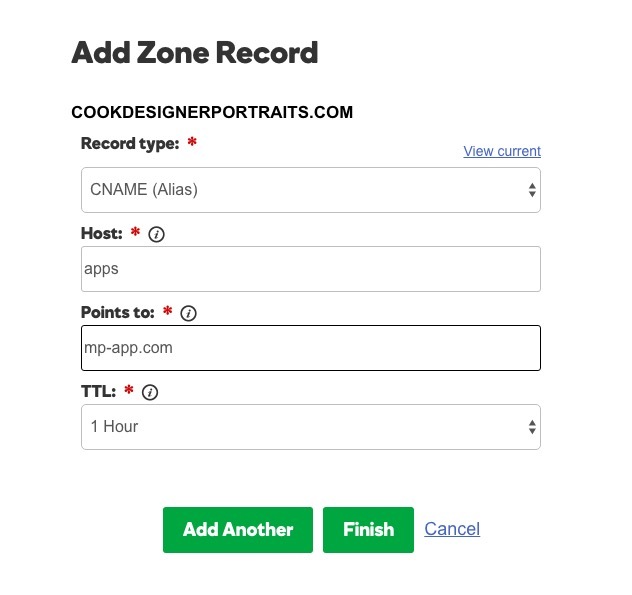 looks_one Go to your domain name provider and in the domain setup, you add a new CNAME record and have it point to mp-app.com . This will cause your new custom domain to be resolved to go to the MyPhotoApp server. This is not a redirect. Many people have made the mistake of doing a redirect and that will not work. To the right is an example of creating a custom domain of what an entry for apps.cookdesignerportraits.com would look like on GoDaddy to give you an idea of what yours should look like. looks_two Enter the custom url (without the http://) you created below. This lets MyPhotoApp know you have setup a custom URL and it will use that when generating the app link. If you are using your domain name for your website, then you are probably using a subdomain, like apps, so you would enter apps.yourdomainname.com, but if this is a new domain that you are dedicating to MyPhotoApp, you would enter yourdomainname.com. If your current url is in use for your website, it may look something like apps.mydomainname.com, or if this is a brand new domain you are using for MyPhotoApp, maybe it would be something like mydomain.com. Verify in step 3 that this is how you want your URLS to appear. looks_3 Click the Verify and Save button to confirm everything is setup properly. *WARNING* You already have apps in this brand, once you verify and save the custom URL, the old URL's will not work and you will need to republish the apps again. Any apps already installed on mobile devices will need to be installed again using the new URL. When images are uploaded to a gallery section on your app, you can have MyPhotoApp automatically watermark your gallery images. You need to upload a png file with a transparent background with the appropriate opacity. The width and height of the watermark will be placed on the uploaded gallery photo as is and will only be resized if the photo that you uploaded is smaller in width or height. Once you upload a watermark, you will have an option on the gallery settings section on the builder tab to select the placement of the watermark on the uploaded images. More information about watermarks are located in our Watermark Knowledge Base Entry. You can automatically add the emails you collect with a form into your MailChimp email system. To find your API key, you can read About API Keys. To find your list id, you can read Find Your List Id. Postmark is an email service located at PostMarkApp.com. If you setup an account there, you can add your postmark credentials here and MyPhotoApp will use your credentials to send emails. This will permit emails to come from you, and not from MyPhotoApp. You can have multiple credentials which is useful if you are building apps with forms for other businesses. API Key: (Found in postmark under credentials) Be sure to enter the SERVER API found under the server credentials tab in postmark, not the API Token found on the postmark account tab. If you enter the wrong key, you will get an error code 10. Note: We only have a US number and it is shared across all users. If you would like your own number, use CRM. You can setup your own Twilio account and have your own dedicated number to match your vicinity (worldwide) and unlimited keywords that you define. The text number could possibly change or stop working at any time. You can have your clients text to (502) 547-1234 and have the following message be sent to them. Enter the text reply message and optionally include the url of an app (e.g. your brand app) and press Save Message to store the changes. If you don't currently have a referral code, you can use the code JCP to get a discount your subscription. If you are renewing your subscription, you can do so at any time and not lose any time remaining on your account if you are renewing with the same level subscription. For example, if you have 10 days remaining on your professional account and you purchase a year professional subscription, you will have a year added to the 10 days left on your account. If you are upgrading, for example, going from a regular to a professional, your time remaining will be a prorated amount. Other: Other types of devices including laptop and desktop computers. Views: The number of times that the app was displayed on the device. If the app was accessed while the device was not connected to the internet, the access will not be recorded. Installs: The approximate number of times the app was installed on a device. If an app was installed on one device, then deleted, and reinstalled, the device would be counted twice. It takes more than one activation on a device to detect that it was installed. Unfortunately, if a person opens an app on a device in a browser, and refreshed the browser, the app appears like it was installed on the device. Devices: The approximate number of unique devices that the app has been viewed on. Devices are also browsers. So if a person uses one computer and two different browsers to view the app, the device count will be increased by 2. If people clear their cookies on their browser, then it will act like a new device in the statistics. Installs and devices are approximations since for security reasons, devices won't inform when an app was truly installed nor will it identify itself as unique. MyPhotoApp uses hints to determine installs and devices which can be manipulated by a user. This dialog lets you setup your brand quickly. To setup your brand, you need to specify a logo, some contact info and your brand color scheme. You can just change what you want now and come back later if you so choose. 1. Contact: Enter your customer contact information. 2. Colors: Select your color scheme for your apps. 3. Logo: Upload your logo .jpg, .png, or .gif file. Either drag and drop your new logo over the box below, or click below to upload a new logo. Recommended size of logo is 1280x280 pixels, but it can be anything you want. 4. Social Media: Enter the direct links to your social media accounts. Changes take effect immediately. Make your changes and click the Done button below. Changes on this screen only takes effect for the current and new apps that you create but does not change your previous apps. There are more settings you can change by clicking on the Layout Settings button on the builder tab. You are using the wizard to build an app named . button to start building another app in the Wizard. This wizard will let you build basic apps easily in a step-by-step manner. This is aimed towards first time users to ease you into the app building process. Once you are ready to unleash the power MyPhotoApp, please visit the builder tab (first tab top left). Another option to build apps, is to start with a template. You can click on the template tab above to the right of the wizard tab to view available templates. Apps need to have a name. Please enter the name you wish to call this app. App names are one word that are 3 to 32 characters long and can contain alphabetic characters, numbers or the underscore characters. Once you have entered the name, press Next Step to continue with the app building process. Here's the current image logo for this app. To upload a new logo file, either drag and drop your new logo over the box below, or click below to browse and select a new logo to upload from your computer. Logos must be .jpg, .png or .gif files. Recommended size for a logo is 1280x280 pixels, but it can be anything you want. Or, if you don't have a suitable logo file at this time, just enter the name of your company below and we will put that at the top of the app for you. If you want to use a logo image, leave the Logo Text field below blank. Select your color scheme for your app. If you would like your app to have contact buttons that people can push to contact you, enter your email and/or telephone below. You can add images to your app. You can change the way that the thumbnail images are displayed by selecting different layouts. If you don't have any images at this time, you can click on the add sample image button that will add an image to your app. There are 5 different sample images you can add. If you would like to delete all of your images and start over, you can press following button. You can use the builder tab to delete individual images or rearrange them. Congratulations! Your basic app has been published! Here is the URL of your app: . You can click on this link to open a new window and try out a working copy of your app on your computer. With the working copy, you can click on a particular image to make it full screen. You can either email or text this url to your mobile device to load the app. Instructions on how to install the app will appear on your device. Please use Chrome for Android devices or Safari for IOS devices. Ready to create more sophisticated apps? to watch a 7 minute introduction video. You will be building awesome apps in no time. You can build apps using a template to give you a head start. It is a great way to accelerate app development. Just browse the templates below and if you find one you like, click on the rocket icon to load it into the builder where you can tailor it to your own specific needs. Master classes are advanced content provided by various industry experts with regards to incorporating apps into your business. Click on a above tab to visit the class. 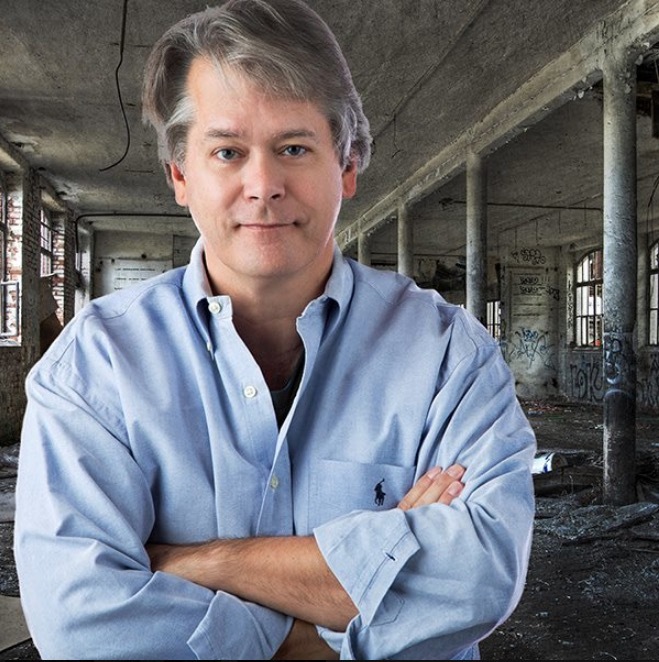 Kim is a leading expert at using MyPhotoApp and leveraging apps in your photography business, a photographer and an educator who has spent over two decades working with and teaching everything to do with technology and digital photography. She has been involved in training in one way or another all her life and has taught everything from the Japanese martial art Aikido to English as a foreign language. In 2013 Kim took the decision to concentrate on her passion for photography and launched Inspirations Photography. It was whilst researching resources for her new business that Kim came across MyPhotoApp for the first time and fell in love with Apps. 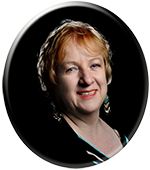 Today Kim continues to be actively involved in writing training materials and presenting training videos and webinars to support photographers in a range of essential skills and now takes an active role in customer liaison and training at MyPhotoApp. Kim continues to work as photographer shooting modern magazine style women’s portraiture out of her home studio in beautiful South Devon. Dan has been named Wisconsin Professional Photographer of the Year four years in a row and Artist of the Year two straight years. 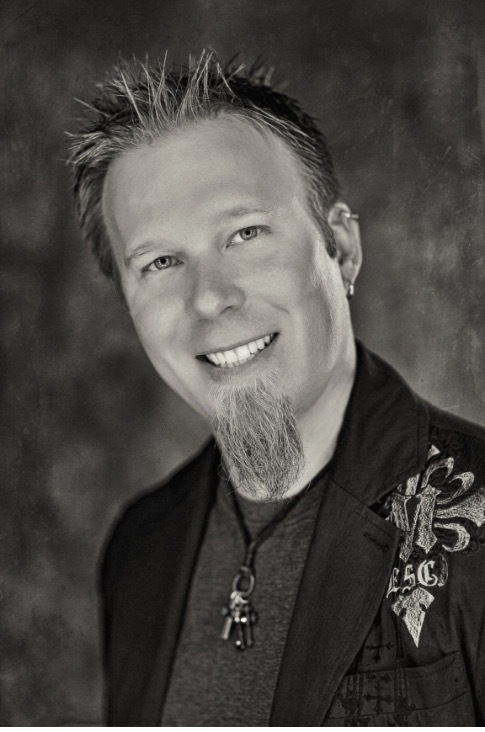 Dan has earned many awards including the Canon Par Excellence Award, Fuji Masterpiece Award, two ASP State Elite awards, PPA Platinum, Gold and Silver awards and three Kodak Gallery Awards. Dan has also been honored to have his images published in several magazines including the cover of Professional Photographer in 2013. Dan runs a highly popular facebook group and educational site oriented towards senior photography. Learn more by visiting Seniors Unlocked. Nick is a senior photographer in Crystal Lake, Illinois where he own nFocus Photos and photographs about 100 seniors a year. He built his business over the past decade taking advantage of every social media trick he could find. Nick was recently named one of Senior Style Guide's Hot 100 Senior Photographers for 2017 and in his spare time he runs the SeniorInspire Instagram page. Tim is a wedding photographer in England. He is an expert at using apps to promote his wedding business and developing apps for other businesses via his Tiny Robot Design company. 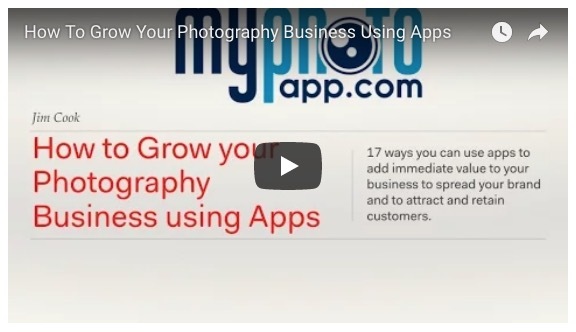 In this video Dan provides a brief overview of the features of MyPhotoApp, how he uses MyPhotoApp to boost sales, market, provides an alternative to digital files, and other creative uses to add value to his business. He will finish up with a demo of using MyPhotoApp. In this course Nick will teach you what a Lead Page is, how he uses them, and how he uses MyPhotoApp to build them. This course was written in 2015, so some of the screen shots of MyPhotoApp are dated, but you should be able to apply what you learn. This is well worth your time if you want to learn how to get more leads in your business. 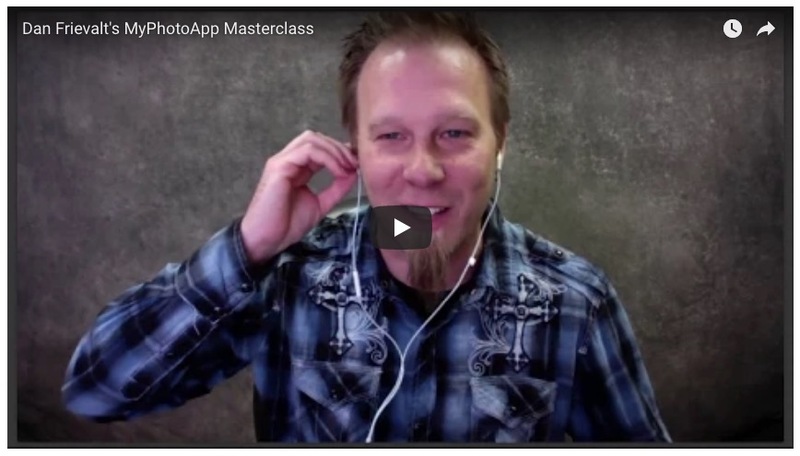 In this video series, Tim shows how he uses MyPhotoApp to boost his wedding photography business and how apps are a differentiator for his business. This class is broken up into 3 different videos. In this video Jim will show over a dozen ways people are using apps in their business. The more you use apps in your business, the more value they get out of them. Here is the QR Code for your app. Your session timed out. Please login again. I am Jim Cook, and this is a silly photograph of me. While I like to have fun, I am serious about congratulating you on exploring the value MyPhotoApp will bring to your business. You made a great decision. You have left on your trial membership. Kick the tires, create a bunch of apps, share with your clients, and see how useful MyPhotoApp can be. I know you are going to love it. Build an awesome marketing App to showcase your business in a way no ordinary business card ever can. Then build a bunch of client specific apps, put them in the hands of your clients, and gauge their reaction. You will immediately see the value of MyPhotoApp. Your initial trial membership is limited to creating client apps. If you want to explore the full power of MyPhotoApp, open a support ticket and request a free upgrade. When you are ready to subscribe, close this dialog and click on the license tab and select one of our low price monthly options. If you have a question or need help... click on the help button in the upper right hand corner to search our help knowledge database for instant results. You can also use the help button to reach me directly by submitting a support ticket. I am here to help and will respond promptly. 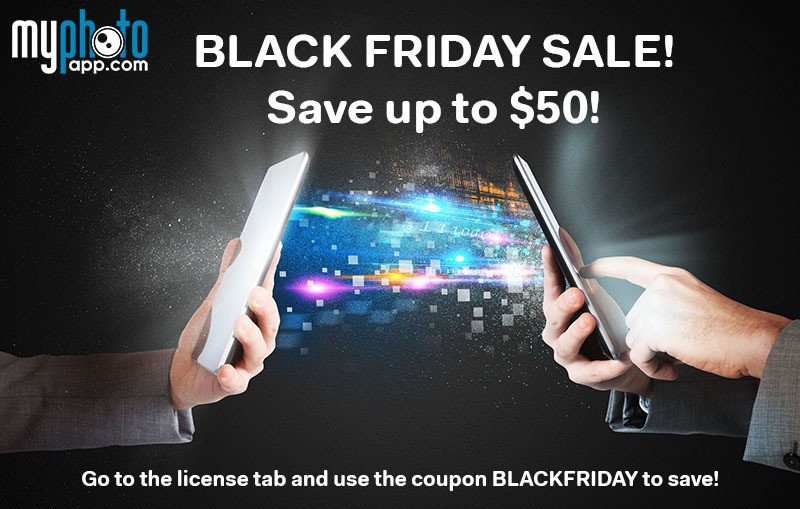 If you subscribe today, you can save 10% on your subscription cost by using the coupon code JOINTODAY on the license tab. Note: You do not lose any of your free trial time by subscribing today. Click on the license tab and subscribe today to save! p.s. Please consider joining the MyPhotoApp Facebook Group where the cool kids hang out and discuss how they are using apps in their businesses. You have created your first app and are now on the builder screen. It can be a little intimidating for the first time as there are a lot of options. But once you get the hang of it, it is pretty easy. You will be kicking out apps in no time. The Tour Bus icon will provide you a more indepth overview of the builder screen layout. If you get lost, you can always click on the help button or go to the training tab and view the getting started videos. Your account is going to expire in days. Please go to the license tab and renew your subscription today. Hi. My name is Jim Cook. But I don't know your name. Please your name so when we correspond, I know who you are. Thanks! Before you can publish your app, you need to verify your email address. In the welcome email we sent to you, there was a verify link. Please click on that to verify your email address. If you didn't receive your email, check your spam folder. The email was sent to , if perhaps you have a typo in your email address, you can go to the setup tab and correct your email address. to have MyPhotoApp resend the email to you. Quick Question... How can MyPhotoApp serve you better? Thanks for helping me understand how to bring even more value to your business. The MyPhotoApp builder that you are logging into is designed to run on a computer. You build your apps using a computer and those apps are able to run on mobile devices or computers. Please use a computer to build your apps for the best quality experience in app building. An email has been sent to you with information about how to login to your account and start building apps. To submit a problem ticket, send an email to support@myphotoapp.com . What is the url of the app you are working on if it is an app specific issue? Explain what you were expecting to happen. Explain what happened to you. Any screen capture you can attach to the email to show the problem. I try to respond at least within 24 hours during a week day. If the matter is urgent, sooner. I get a ton of email each day. So if you do not hear from me within a reasonable amount of time, try to contact me again. Sometimes emails slip through the cracks. You can move/resize this window out of the way and use the builder at the same time as you follow along.